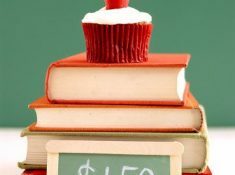 Welcome to the 2017 Fall Party Hop! Last year, during the Holidays, I organized a Holiday Party Hop. Gathering together some of my most favorite party gals turned out to be the highlight of my blogging year! It was such a fun and talented group, that created some of the most gorgeous Holiday Party ideas. Since the Holiday Party Hop was such a success, I couldn’t wait to plan a similar Party Hop for this Fall. It has been in the works for weeks and now it’s finally time to share it with you. So, grab a cup of coffee or tea and get ready to be wowed by these ladies! Stop by the blog each day this week to see all 18 of the fabulous bloggers that are going to be sharing their best Fall Entertaining ideas with you. The way the Party Hop works is each day a few bloggers will be posting their Fall entertaining ideas. You can start here, then at the end of each post, there will be a link to hop over to the next Party Blog, with the Party wrapping up on Friday. I just know you’re going to love all the ideas of these talented ladies who have been working hard to bring you their best Fall entertaining ideas. I’m stop 1 on the Fall Party Hop. 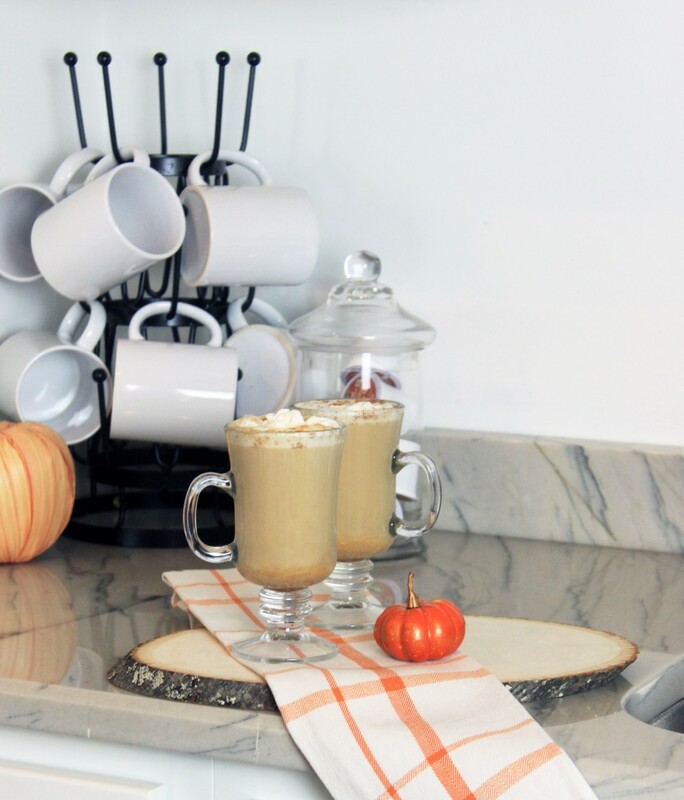 Since this party is all about Fall entertaining, I’m bringing you a fun way to incorporate a little Fall décor and one of my favorite Fall recipes – Pumpkin Spice Lattes! 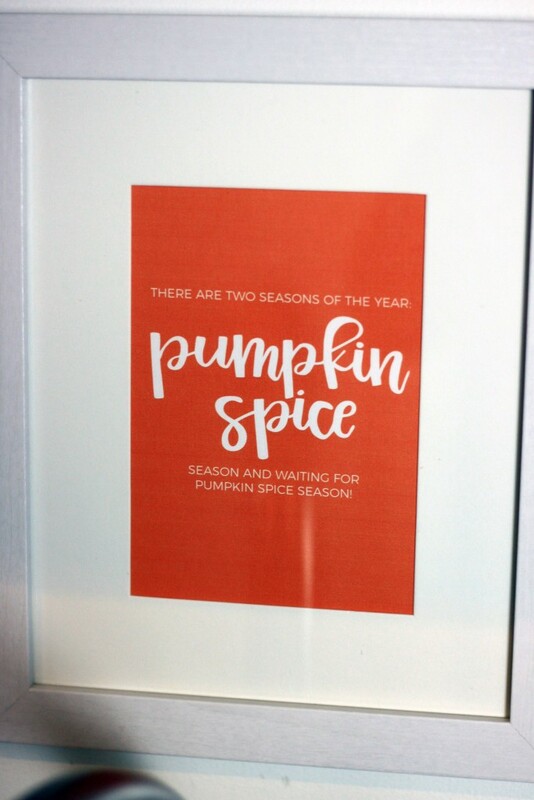 If you are all about PSL season, then this post is for you. 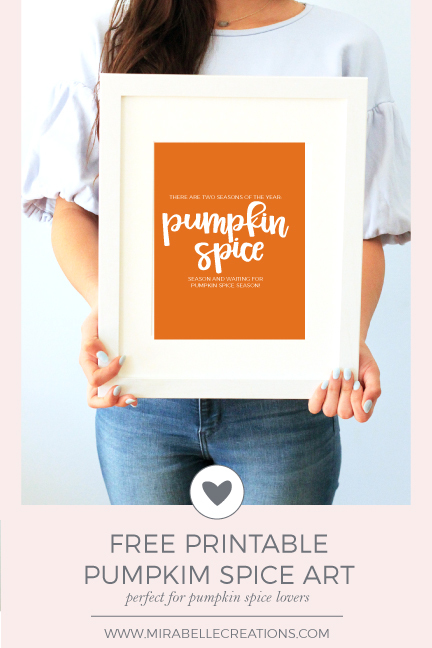 And, don’t forget to check the bottom for a free printable that celebrates the love of the PSL. On the side of our kitchen, we have a small wet bar. Whenever we have a party, it’s where I typically serve the drinks. But, thisFall, I decided to turn it into a coffee bar. 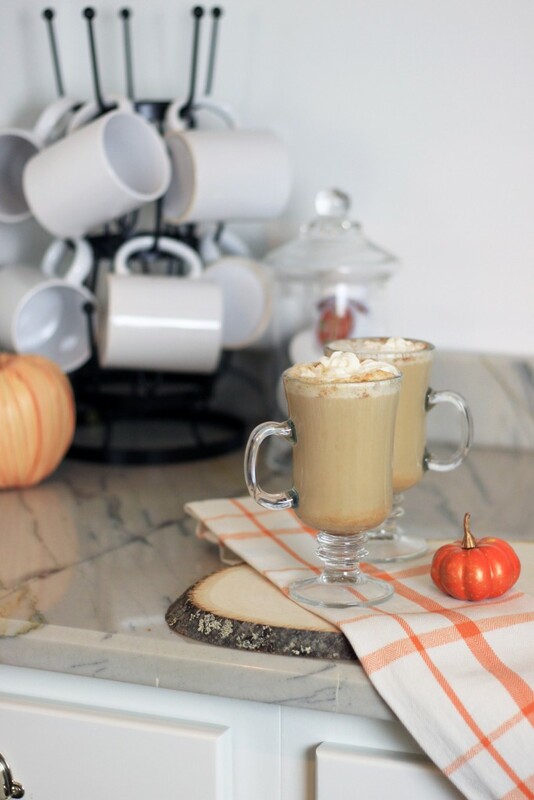 My inspiration for the bar was my favorite Fall drink! The coffee station started with a fun piece of art. You can download this free 5×7 printable art for FREE. Simply join our newsletter at the end of the post to get access to all of our Free Printables. I added this rustic mug tree holder to store lots of mugs on one side of the bar. 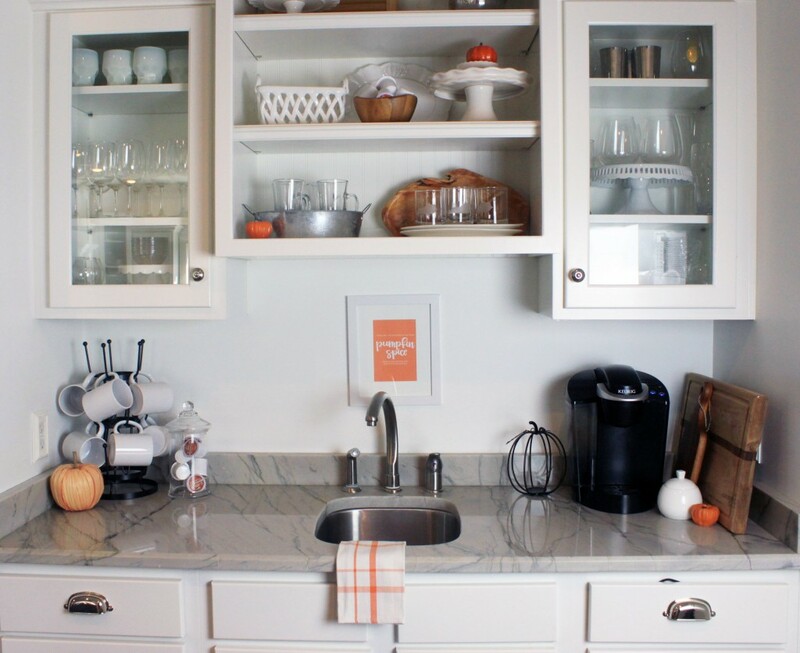 This tea towel from the Target Dollar Spot adds a pop of color to the coffee bar. 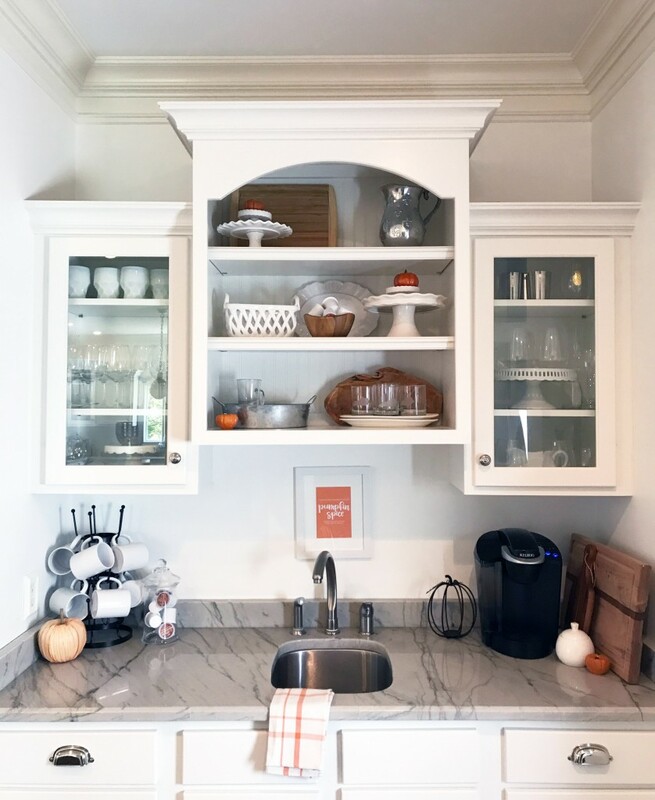 On the other side of the coffee station, I placed my Keurig, along with some wood cutting boards, a sugar bowl, and an antique bronze wire pumpkin. 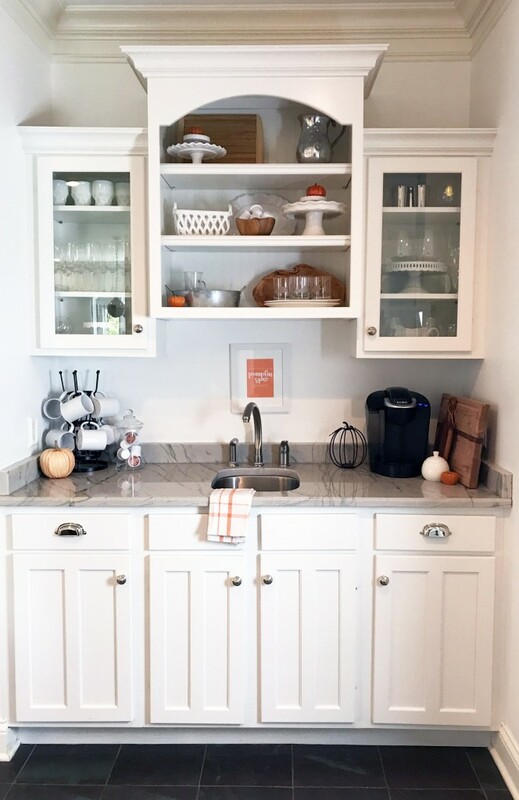 I placed Keurig pods, Pumpkin Spice flavor of course, in a wooden bowl on the shelves above and in the apothecary jar by the mug tree holder. 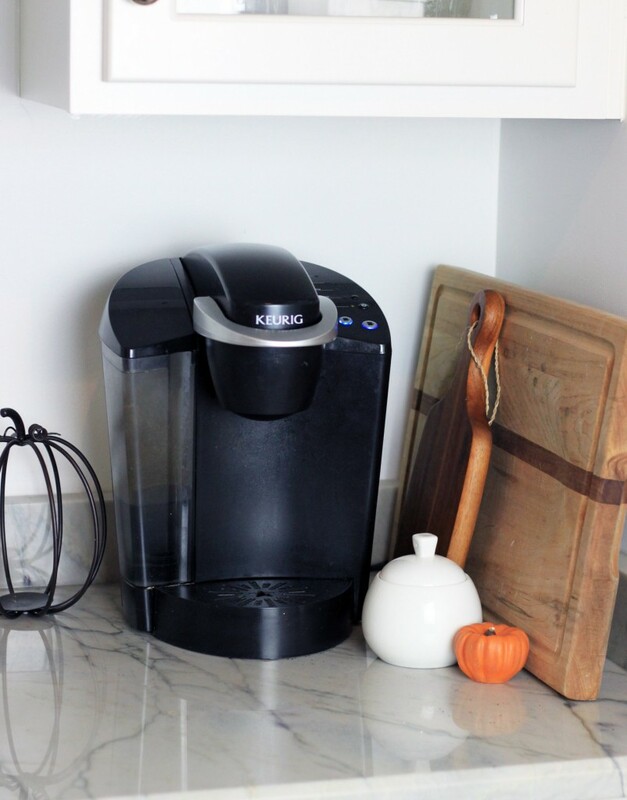 Placing in them in easy to see spots, makes it simpler for guests to make their own coffee, if they would like. 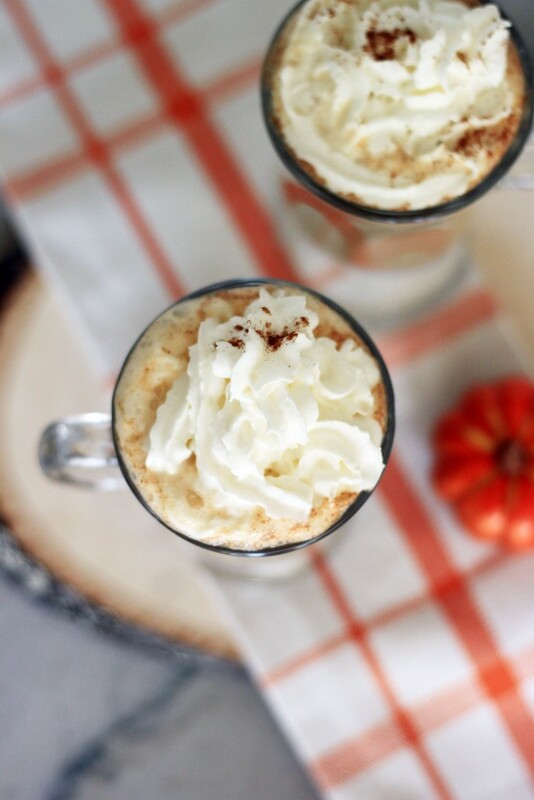 But, my favorite coffee to make for guests would be this Pumpkin Spice Latte. I have to confess I actually like it better than the Starbucks drink because it isn’t quite as sweet. But, if you like your PSL sweet, you can always add another tablespoon or two to the recipe. 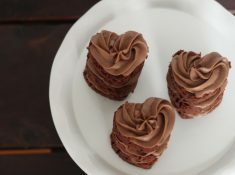 This recipe can be made in less than 10 minutes. This time of year, it’s not my first cup of coffee in the mornings, because I need that immediately. But, I will make one for just myself for my second cup of coffee. If you’d like to try a single serving of it, just make half of the recipe below. 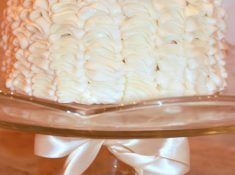 To make this recipe extra delish, top it with some whipped cream. In my house, that’s not easy to find, because I have a little guy who likes to open the refrigerator and just fill his mouth with whipped cream. So, once a can has been opened, it doesn’t last long around here. 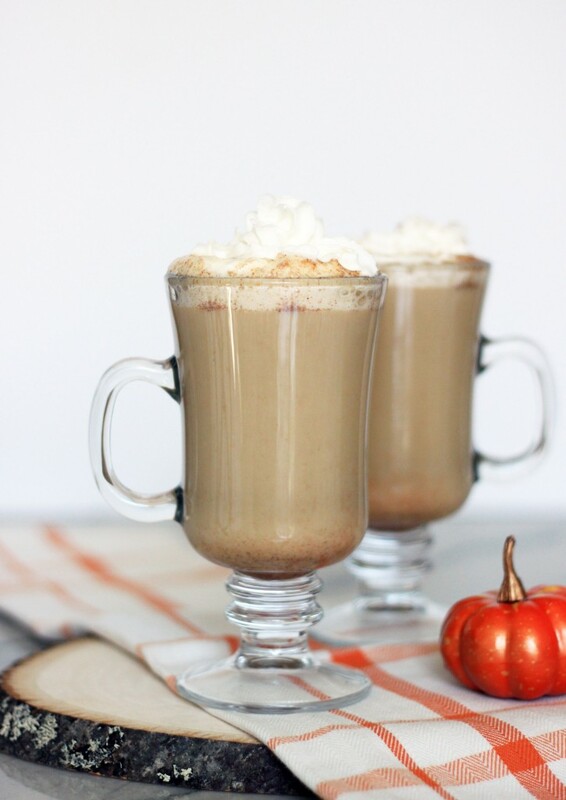 Luckily, I was able to make these drinks for me and my hubby before he knew I had whipped cream in the house! 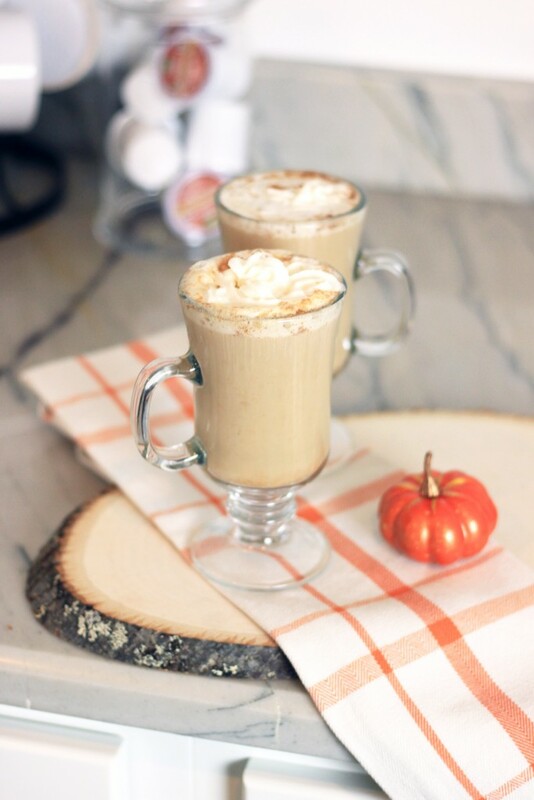 Whisk together milk, pumpkin puree, sugar, vanilla and pumpkin pie spice in a small saucepan. Heat over medium heat until the mixture in hot, but not boiling. Pour coffee into the saucepan and whisk into milk mixture. Pour coffee mixture into two mugs. Top with a squirt of whipped cream and sprinkle with pumpkin pie spice. Serve hot. After you have joined our Freebies list, you will receive access to the 5×7″ Art Print. And you’ll never miss out on any of our Free Printables ever again! Thank you so much for joining me to tour our new Coffee Station as we start the 2017 Fall Party Hop! Head on over to the next party stop, the amazingly talented Giggle Hearts. for some adorable Halloween craft ideas that you can do with your kiddos! Our last stop for today is Giggle Living with her outdoor Fall entertaining tips! Don’t forget to come back tomorrow for more of our Fall Party Hop!